Ah, Portugal. When I visited the country of Portugal (admittedly a few years ago) it was after a visit to its neighbor Spain. While the two countries hover near the western edge of Europe, they, like their other European neighbors have distinct personalities and cultures. Two years after Christopher Columbus was out sailing to discover new worlds in 1492, the Treaty of Tordesillas was signed, essentially giving Portugal the eastern half of the “New World,” which at that time included Brazil, Africa, and Asia. The Portuguese Empire was the first global empire in history and one of the longest-lived colonial powers lasting some six centuries. Its borders have remained the same since 1139 giving it the distinction of being the oldest nation-state in Europe. It remained a kingdom until 1910. Portuguese remains the official language in nine countries. I share these historical facts only to give you a sense of the rich and proud history that this country claims whether you are navigating its capital or one of the tiny, picture-perfect villages or visiting its coastline. Portugal shimmers with color whether it’s one of their markets, cafes, monasteries, castles or churches. Lisbon is the capital and most likely the first place you’ll touch down in Portugal. Of course, hit the high points like the Belem Tower and the Jeronimo Monastery. Bring good walking shoes as Lisbon is built on seven hills. Your calf muscles may get a work out. It’s all worth it though to stroll through the historic districts. The views are awesome. Lisbon has a neat and inexpensive tram system so you can hope on board to get around. And then there are the tuk-tuks. They were originally made in Italy post World War II. The taxi drivers may give you a look but these nifty vehicles easily navigate Lisbon’s hills and suit the geography. 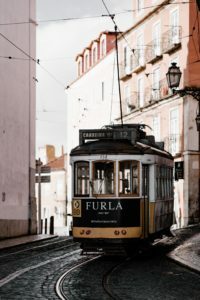 Better yet, if you’ve got a good guide with a van, you can have the best of both worlds – ease of navigating the hills, recommendations for Lisbon’s must-sees and time on your own if you want to try a tuk-tuk. If you are fluent in Spanish that’s great, but don’t assume you’ll hear it spoken all the time. Remember Portuguese is the official language but lots of folks are fluent in English particularly the younger set. If you get a chance to stroll through the Alfama neighborhood, you may hears the sound of Fado music wafting through the night air. “Fado” means destiny or fate in Portuguese and is a traditional form of music known for its soulful, and sometimes melancholy tones. It won’t break your bank to take in a meal and performance in this budget-friendly popular district. Good food, tasty wine, guitars and mandolins…what’s not to like and enjoy? Many of the buildings are colorfully tiled, and are a feast for the eyes. Equally dazzling and tantalizing, and in this case edible, are the bakery items. Whether you go for savory or sweet, try one of the many treats available. Chirozos come with an added flare in many restaurants. These delicious sausages are often served on fire. Wait for the flames to die down before eating! Take a boat ride in Porto for a relaxing time on the Douro River. It’s a unique perspective to see this historical city from the river’s view. Famous for its Port, wine may not always be the first choice of beverage. Lisbon and surrounding places like Sintra find folks drinking a smooth cherry liqueur called ginjinha or ginja. Pop in a local bar or kiosk and you may find it served in a chocolate cup. Wine aficionados will be happy to know that Portugal has its own wine trail with acres of vineyards dotting the landscape. There are many varieties but equally interesting is what keeps it bottled up – the cork. Portugal is the largest cork producer in the world accounting for some 70 percent of the world’s cork exports. The main importers of Portuguese cork are Germany, the U.K., and the U.S. The country also has the largest cork forest. 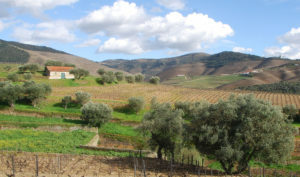 The Alentejo’s Cork Country has its own dialect with a strong Moorish flavor. The romance of these woods is unmistakable interrupted by the occasional wine estate or olive grove. When the bark is harvested, the trees light up the day like tall red sentinels against the horizon. Its bark is renewable and don’t limit cork to topping bottles. Shops are full of all manner of items made from cork including handbags and shoes. I’m a bird and wildlife fan and the cork oak woodlands, known as “montados” in Portugal provide a friendly and sustainable environment to not only produce cork, but a place to graze livestock and a haven for wildlife. Forty-two bird species depend on them including the endangered Spanish imperial eagle as well as rare species like the black vulture and black stork. A host of smaller birds such as robins, finches and song thrushes migrate to the Iberian Peninsula’s cork forests from northern Europe joined by the blackcaps from the United Kingdom. During the spring and summer, the forests play host to a rich variety of butterflies and plants. In the remotest parts of these protected lands, the rare Iberian lynx can still be found. I’ve talked about reserves in other countries and like to mention when I observe a country’s commitment to preservation and conservation. To me, it speaks volumes about its character and charm. Such is Portugal. Don’t leave the Alentejo area without a visit to Monsaraz. Perched on a hill overlooking the Alentejo plain, this magical and medieval village speaks to visitors with an ancient voice laced in history and romance. Made of lime and schist, its walls hold stories about courageous kings, Knights Templar, and brave folk through the ages. Seemingly suspended in time, and one of the oldest villages in Portugal, it’s a must see in you are visiting this country. In 2017, it won the category of “Monument Villages” in the Seven wonders of Portugal competition. The beaches are blissful in the Algarve region – the southernmost tip of Portugal. Granted it continues to grow as a tourist attraction because of its warm climate, beaches and numerous other attractions, but it’s definitely worth a day’s explore if you get the opportunity. The Algarve area boasts one of the best-preserved castles in a town of colorful orange rooftops called Silves. Enjoy the red-stone walls and winding, sleepy backstreets. Not a whole lot going on but that’s okay if you want a break from the more bustling coast. A couple more interesting facts about Portugal that I share, only again, because I believe it speaks to this gracious and charming country’s character. While the bull may be killed afterward or spared for breeding, he is not killed in the arena. Stabbed a few times perhaps but not killed as a spectacle. Making it more interesting, at the end, a ‘suicide squad’ of eight take him on face to face on the ground sans horse. Perhaps that concern for the animal echoes their concern for humanity. Portugal abolished slavery all the way back in 1761. That’s well before Britain, France, Spain or the United States. 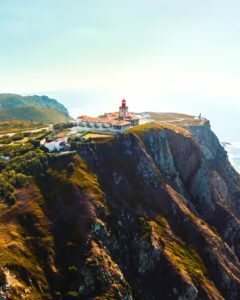 If you plan to travel to Portugal, consider off-season visiting like the spring or fall. The summer months are more crowded. Climate is good most of the year. Portugal’s weather is not unlike what you will find in other Mediterranean countries. Temperate and without extremes. Granted it’s one of the warmest European countries, but count on those cooler waters of the Atlantic to keep down the heat. 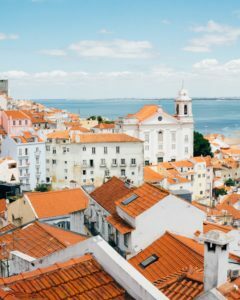 I found Portugal a peaceful place often taking refuge in out of the way backstreets which always afforded a place for good food and exchanges with the people who are welcoming and gracious. Certainly, if you go take in several towns. Like the country itself, each has its own character and flavor. Ah, Portugal – a perfect place to explore and bask in its vibrancy.